"For with You is the fountain of life. In Your Light we see light." "For with You is the fountain of life." "In Your Light we see light." A lamp leads us out of the dark when we are blinded by the darkness of life in this world. It enables us to find our way. If we remain in the darkness we perish along with many others. Run to the Fountain of Life today. Allow yourself to be enveloped in the Light of truth that you and many others might be set free from darkness which leads to death. In the Light of His love we find the fountain of eternal life. 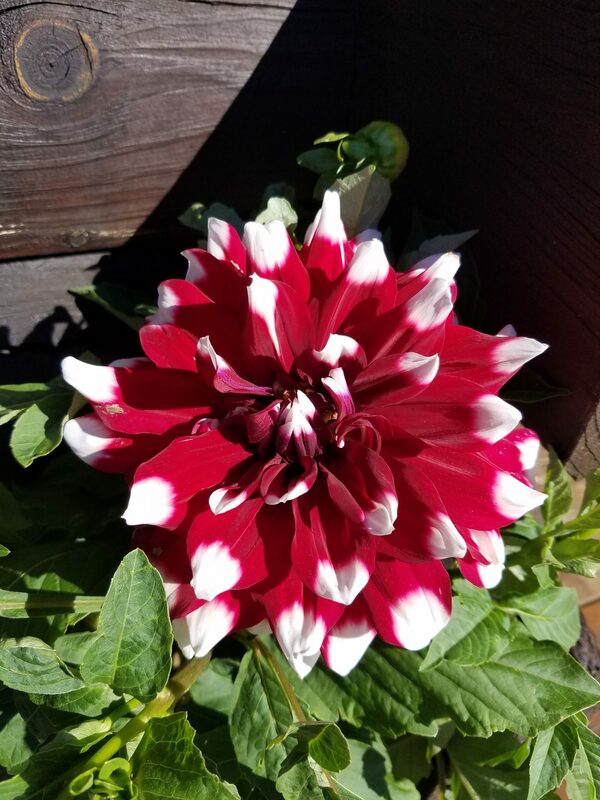 May we derive life basking in the "Sonlight" as my beautiful dahlia residing on my deck reminds me of daily.